The cocktail, made with locally produced applejack brandy and apple cider with an apple slice garnish, is named for Andrew Jackson Downing, born in Newburgh in 1815. Downing was a famous horticulturalist who influenced American architecture and landscape design, and died a hero in 1852 while rescuing victims of a Hudson River steamboat accident. 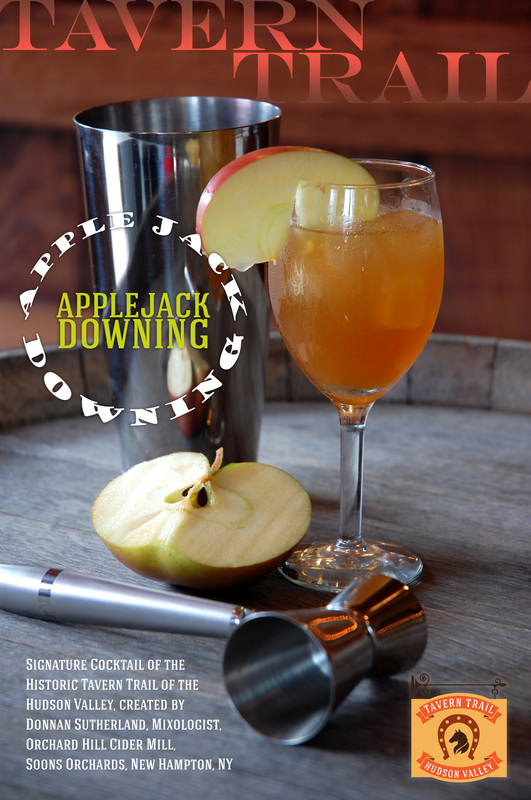 The “Apple Jack Downing” cocktail is the creation of mixologist Donnan Sutherland of Orchard Hill Cider Mill, Soons Orchards, New Hampton.